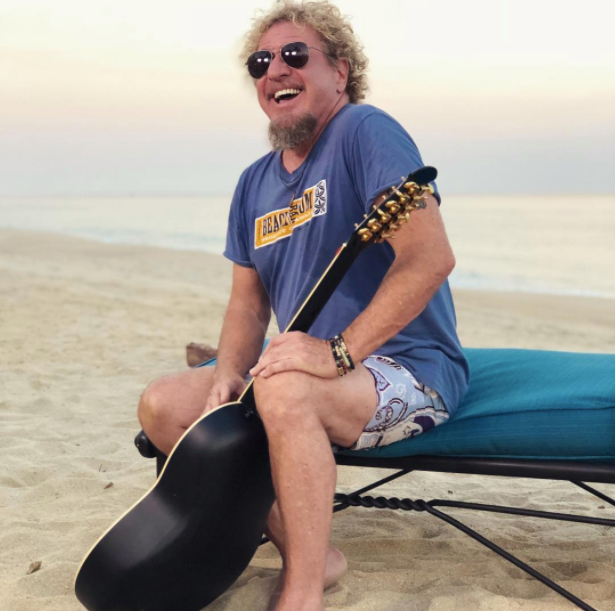 Sammy Hagar has announced the lineup for the sixth annual Acoustic-4-A-Cure benefit concert. Set for May 15 at The Fillmore in San Francisco and benefiting The Pediatric Cancer Program at UCSF Benioff Children's Hospital, Hagar will be joined by Joe Satriani, Heart guitarist Nancy Wilson, Chad Kroeger of Nickelback, Tom Johnston of The Doobie Brothers, Lukas Nelson, Rick Springfield, and Hagar’s band The Circle, featuring Michael Anthony, Jason Bonham and Vic Johnson. Created by Hagar and Metallica rocker James Hetfield, the annual series sees legendary artists performing acoustic sets, epic collaborations and impromptu jams; past events have seen appearances by Jerry Cantrell of Alice In Chains, Billie Joe Armstrong of Green Day, Pat Benatar & Neil Giraldo, Kevin Cronin of REO Speedwagon, Melissa Etheridge, Mick Fleetwood, Dave Grohl, Tommy Lee of Motley Crue and many others. “For me, each year this event gets better and better,” says Hagar. “This year‘s lineup (as usual) is eclectic and packed with talent. I’m so looking forward to being part of the chemistry of all these artists being in the same room for the night and creating something very unique for those special music fans that support this wonderful event each year." Learn more about the the benefit show at acoustic4acure.com. Tickets will go on sale Friday, March 22 at 10 AM PDT via livenation.com. There is a 4-ticket limit per customer; every ticket purchased will include one (1) CD copy of Sammy Hagar & The Circle's new album “Space Between” when it is released on May 10.